The capabilities of combat and reconnaissance Ka-52 helicopters will be upgraded according to the experience of their operations in harsh climatic conditions, the press service of the Russian Helicopters Holding said. "At present measures are implemented to expand the capabilities of Ka-52 helicopters supplied to the defense ministry according to the experience of their operation in harsh climatic conditions. This year several batches of Ka-52 will be delivered. Their test trials and production are nearing completion," it said. 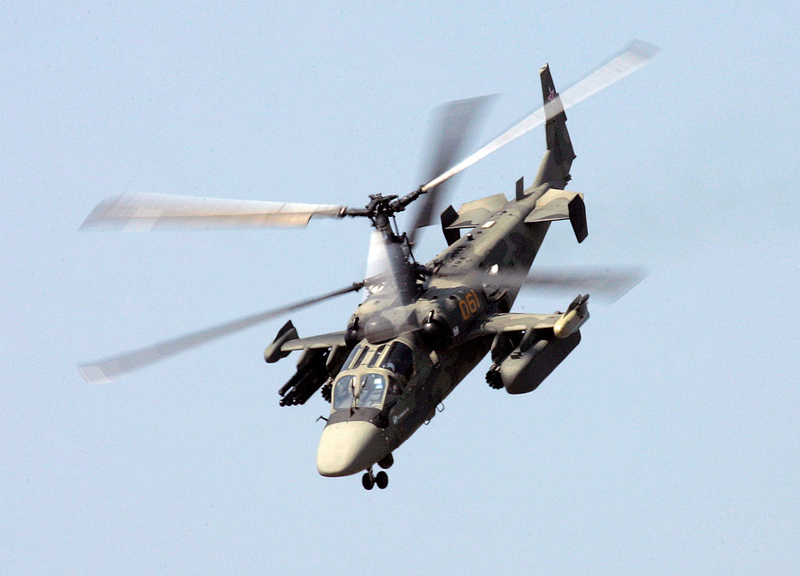 During a video link with Russian Defense Minister Sergei Shoigu at the single day for military hardware acceptance Managing Director of the Sazykin Progress aircraft company Yuri Denisenko said another batch of combat Ka-52 helicopters had successfully passed all test trials envisaged by technical and state contract requirements and had been accepted by military representatives. The transfer to operating organizations has begun.